To be sure, it’s fun to think about whether aliens have visited Earth. After all, humans are on the threshold of expanding our reach in space, and places like Mars are in our sight. But the truth is, there’s no evidence suggesting that aliens have ever been here. And invoking a supernatural explanation for some of the most monumental of human achievements means skipping over the fascinating ways in which prehistoric civilizations managed to make some of the largest and most enigmatic constructions on Earth. The ancient fortress of Sacsayhuamán contrasts with Cusco’s modern buildings. Outside the old Inca capital of Cusco, a fortress called Sacsayhuamán rests in the Peruvian Andes. Built from enormous stones that have been chiseled and stacked together like a jigsaw puzzle, some say Sacsayhuamán could be the work of an ancient civilization that had a little help from interstellar friends. A plane glides over an ancient spider geoglyph in the Peruvian desert. The sun sets over the Giza necropolis on the outskirts of Cairo, Egypt. Bands of pink and purple streak the sky over Stonehenge at dawn. Teotihuacán’s Pyramid of the Sun rises up against the cobalt sky in Mexico City. 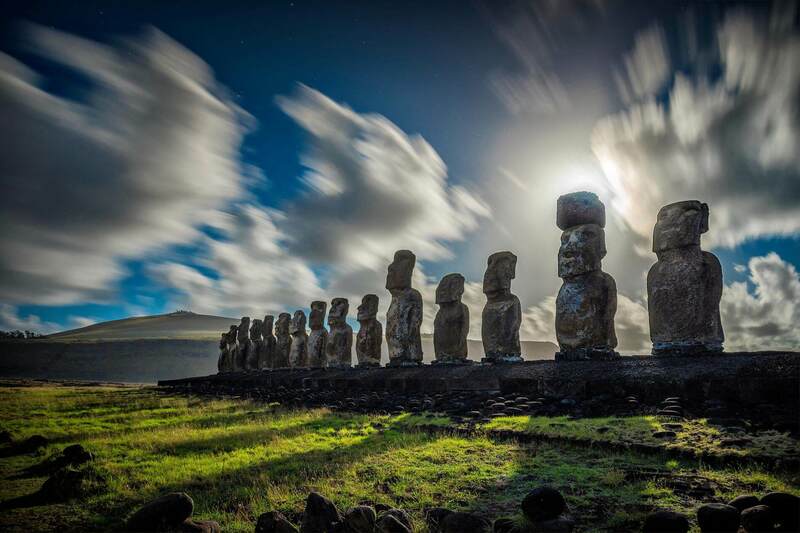 The reasons for carving the moai are mysterious, though they were likely sculpted for religious or ritual reasons. It’s also not exactly clear what happened to the stone-crafting Rapa Nui, but a leading theory suggests their civilization succumbed to an environmental disaster of their own making … which is something that probably could have been prevented had ancient aliens bestowed their infinite wisdom upon the culture. NASA’s Viking 1 orbiter took this photograph of Mars in 1976. Shadows in the rock formation create an illusion of a human face. In 2001, NASA’s Mars Global Surveyor took another good look at the face—using a much higher resolution camera—and saw … no face. Turns out that what had appeared to be a face is just another boring old Martian mesa, kind of like the landforms that litter the U.S. Southwest.